I see the majority of Formula 1 fans complaining, from neutrals to fanboys, when the commentators who try to promote the sport complain, that's when you know something is wrong. It could be a knee-jerk reaction, but yesterdays race was ridiculous, but then Catalunya always is. There were also sensible fans complaining about China and Bahrain quite a bit, I think this race just topped it off. Sure it is actually unfair of me to say that the problem is with certain fanbases. But still we have a track like Catalunya which is known as the track that is the hardest on tyres the whole year. We will once again be back to races with fewer pitstops. It seems excessive to complain so much about a situation that isn't likely to occur again. There were lots of complains for China and Bahrian as well, but this is mainly a small vocal minority. When you look at all of the internet polls to rate the races then you will see that those races scored very well. F1.com had a poll on the tyres and if people enjoyed the current tyres, and Pirelli tyres did really well in that poll. And this is the results of most of these polls. So it seems like we have a small minority who is going to complain about the tyres no matter how the racing goes and no matter that the majority seems to be enjoying the season. It is also unfair to the people who are enjoying the racing when all you see are the same people injecting negative remarks about tyres. 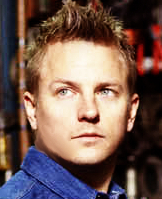 As Kimi wisely said, you just cant make everyone happy. If F1 has truly become that dreadful for these people then they should just stop watching, why would you want to punish yourself if dont enjoy it. Once upon a time, in the world before Bruce Willis, a genteel form of entertainment was to go to the local theatre to watch Agatha Christie whodunnits, which had been translated into theatre from the original novels. It was always fun to try to word out who had murdered whom and why. The Mousetrap is still playing every night in London, 61 years and 25,000 performances after its opening. Everyone likes a nice mystery. â€œThere is, let us say, a rumor in the paddock that Subaru is talking to Blue Wombat Racing and that a deal has been done for Blue Wombat to use Subaru V10 engines. What does a good journalist do? He goes to ask the team if the stories are true. Oh look, here comes Mr. Talking Head, the teamâ€™s blue-eyed front man. Hello, you say. Can I have a word? No, he replies, and sweeps by, disappearing into a motorhome. Grrrâ€¦ An hour later he re-emerges. Can I have a word? You say politely. No, he says and sweeps by, mumbling some excuse about Bernieâ€¦ Oh, you say loudly, thatâ€™s such a shame. I just wanted to know if you still have a job. This usually works when the talking head is a mere employee or a minority shareholder. If he is a team owner it is more complicated but any mention of the tax man usually results in a screech of soft leather as his handmade Italian shoes come to a sudden stop. He returns in a hurry. I hear you have a deal with Subaru, you say. You cannot honestly expect me to answer that question, he says, trying to dodge the issue. Why not? It is an easy question. Do you have a deal with Subaru? No, he says, I do not. And there you have it. A novice F1 journalist will at this point rush off to the press room and file a â€œBlue Wombat Racing chief denies Subaru dealâ€� story. But what did Mr. Talking Head really say? I-DO-NOT. When you think about it, why would HE have a deal with Subaru? The question should have been: â€œDoes the team have a deal with Subaru?â€� The answer would, of course, have been â€œNoâ€�. But is that the truth? What is Subaru? It is a brand. A brand owned by a big anonymous company called Fuji Heavy Industries. Any deal would be between Blue Wombat Racing and Fuji Heavy Industries. So you ask the question differently. Have you spoken to Fuji Heavy Industries? No, he replies. What does that mean? You could argue that it is impossible to talk to an organization. One can talk to members of an organization but not to the company itself. And so one has to ask a different question. Have you talked to any person employed by Fuji Heavy Industries? No, he replies (just for a change). So that is that. Or is it? Teams have agents, lawyers, acquisition managers and other assorted fixers to do all that rubbish. It is quite possible that Mr. Talking Head has not spoken directly with anyone from Fuji Heavy Industries. Do you have a contract with Fuji Heavy Industries? You might try. No (â€¦well not on me. It is in my briefcase). Does Blue Wombat Racing have a deal with Fuji Heavy Industries? No (â€¦ the contract is between Blue Wombat Racing Cayman Islands Inc. and Fuji Heavy Industries). If you ask whether there is a contract between Blue Wombat Racing Cayman Islands Inc. and Fuji Heavy Industries, you will run into all kinds of trouble. No, will come the answer. (â€¦what is a contract? Is it not merely a document which is the basis for a future negotiation rather than a binding legal entity?) Or worse than that. Donâ€™t you trust my word? What this means is that in the end asking questions is a pointless exercise â€“ unless one knows the answer already and so you can challenge the target at the right moment and get the truth as they scramble to get out of trouble. If you catch them out, they often break down â€“ and then the truth is outâ€¦ and they cannot do anything to stop it. One leaves with a sense of victory. The information itself may not be that exciting but it is game and as everyone in F1 will tell you, winning is everything. Howeverâ€¦ Ferrari has a technical director who is still settling into his chair. The chief designer has been round the block a few times, but does Allison want to be reporting to someone after having ruled the roost at Lotus? Money is obviously an element but then so too is winning and James wants to win. Any man who has a plane of his own does not NEED money. It is just a measure of his success. Mercedes will soon get a new team principal in Paddy Lowe and there is no reason why he might not want a new TD. But Mercedes says No, it is not us. One can argue that McLaren and Williams need new technical leadership given the results, but both say No it is not us. Red Bull does not really need a new TD. Adrian Newey is doing a fairly decent job! Caterham says No it is not us and it makes little sense for James to be going anywhere else because he would not have the tools to win. According to my sources Pirelli will go back to 2012 type of tyre. I hope they dont just change back to the 2012 tyres, that would really be a move without any backbone. They could rather just try to change the operating window of some tyres more. If they actually have to change anything. No it isn't the same for everybody, as there are teams who designed their cars with the 2013 tyres in mind not the 2012 tyres. All of their updates and everything would be based on the 2013 tyres. Last season at the end of the year we were already back to 1 pitstop during the race. I just cant see how that is a good thing, and it certainly isn't fair. Pirelli will make changes to its tyres from the Canadian Grand Prix in a bid to rein back the excessive degradation that has affected Formula 1 this year. After admitting that having four-stop races like the Spanish Grand Prix was too much, Pirelli is to change the tyre structures so they incorporate some of the characteristics from 2011 and '12. Further meetings are also taking place at its Milan headquarters this week to evaluate whether or not further compound tweaks will be needed. Pirelli motorsport director Paul Hembery told AUTOSPORT: "We never intended for there to be four-stop races, so we are going to make construction changes to the tyres. "We will be taking some of the design of the 2013 tyres, but also some of the elements of the 2011 and 2012 products that served us so well during that period. "We want to go back to having two or three stop races." Hembery said that Pirelli's move to more aggressive tyres for this season had not taken into account the kind the performance steps that leading teams found over the winter, which had put the tyres under too much stress. "They have basically been stressing everything far too much, and probably we underestimated the performance," he said. "We cannot test with the current cars, and all we have access to is a 2010 Renault that laps four or five seconds slower than the current F1 cars do on a Sunday. "So it was a combination of factors that have come together. We didn't want to make too many dramatic changes, and we do not want to penalise those teams that have taken a design direction to look after the tyres. Bernie Ecclestone and Paul Hembery"Equally, we had to do something to improve the situation." As well as making the changes to help limit the number of pit stops needed, Pirelli is making the revisions to prevent a repeat of the type of failures that hit Lewis Hamilton in Bahrain and Paul di Resta in Spain - where a cut in the tyre resulted in the tread coming away rather than there being a puncture. "The failures were visually spectacular, even though the tyre stayed inflated," said Hembery. "It was a type of failure not seen in F1 before, and it was something we don't like. "It also helped stoke up opinions in the media, which influenced what the fans thought." So, a 2011 Spanish GP where Vettel wins on 4 stops is ace. This year he stops 4 times and it's the end of 'racing'. Am I missing something? In the immediate aftermath of the Spanish Grand Prix - an almost perfect race for Ferrari and a good one for Lotus - there was a certain comment made which will have tempered the celebrations at Maranello and Enstone slightly. After a four-stop race, Paul Hembery said Pirelli had "got it wrong". He wasn't just talking about its tyre choice at the Circuit de Catalunya either as choosing the medium and hard compound was as conservative as the tyre manufacturer could go. When he said Pirelli had been "too aggressive", he meant with this year's compounds as a whole. But it's what he said next that will worry Ferrari and Lotus. Hembery said Pirelli would make changes to the compounds by the British Grand Prix at Silverstone - now revised to Canada - leaving just the Monaco Grand Prix on the current compounds. Firstly, it's understandable that Pirelli wants to react after seeing a race won on a four-stop strategy on the hardest compounds it has available. For the first time teams could legitimately say the tyres aren't doing what was asked; which is to provide races with an average of two or three stops off the back of an exciting Canadian Grand Prix in 2010. Having said that, should Pirelli really be making changes? It was asked to deliver exciting racing and so far has done a good job of it. The rubber is the same for all the teams and we've seen them manage to get the most out of the tyres by the end of both of the previous seasons. The situation in Spain will only potentially be matched at Silverstone itself when a lot of energy will be put through the tyres through the high-speed corners. By then, the teams will have two more races' knowledge and the data from Bahrain to look back on, which would have helped matters. But most importantly, any changes are going to affect the championship. Complaints that Pirelli has too much influence already hold no water with me; all the teams get the same tyres to work with and the four corners of the car are just part of the whole package needed to win. But changing that aspect of the equation means moving the goalposts mid-season and penalising those who have been doing a better job than others. That doesn't necessarily mean Ferrari and Lotus - as the two teams doing the best job with the tyres in Spain - will lose out, but it will help those struggling to close the gap in a similar situation. We saw a number of updates at the Circuit de Catalunya and they will have been designed with the preservation of the current tyres in mind. As Lotus team principal Eric Boullier said when I asked him about Hembery's comments, it would be "unfair" on the teams doing the best job. I've previously said it seems that some people are hard to please when it comes to Pirelli, so personally believe changes to the tyres should only be made if all the teams agree. Unfortunately, in the absence of a Concorde Agreement, nothing binds the teams and therefore there is no way of enforcing such a requirement. Ferrari in particular got it right at Barcelona, with Fernando Alonso finding a way of pushing hard on each set and making a four-stop strategy quicker than Kimi Raikkonen's three. The delight of Alonso's home crowd made it a special result for the team, but there will now be some concerns in the Ferrari and Lotus garages that Pirelli's next move could tip the scales back in to Red Bull's favour. The sudden announcement by Pirelli that they are to change the tyre specifications from the seventh round of the world championship onwards will inevitably raise many questions: who will it favour, what are the implications for the racing? JA on F1 technical adviser Mark Gillan was chief operations engineer at Williams until the end of 2012 and has a deep understanding of how the tyres work and what is involved in this change. Here, with his input, is our analysis of todayâ€™s decision. When Pirelli says the tyres from Canada will be more like 2012 tyres what does that mean? The 2012 tyres were more durable than this yearâ€™s tyres, which suffer from high degradation. Pirelli has indicated that it will change the construction of the tyres to be more like the 2012 products. The 2013 tyres have a different construction from the 2012 products, with a steel belt inside the tyre in place of last yearâ€™s kevlar belt. The weakness of the 2012 tyres was wear; typically the inside shoulder of the tyres would wear out and teams would run the tyre until there was no rubber left on the shoulder and then make a pit stop. However the teams understood how to manage them quite well by the end of the season. For 2013 Pirelli tried to fix the wear problem by getting the contact patch of the tyre more reasonably positioned, but it seems that in changing the construction to achieve this they have gone too far. Although the reason given for the change is that four stops is considered too many for a race and they would like to reduce that to two or three stops, there is also the safety aspect in light of the tyre failures in Bahrain and Spain. In changing the construction, they have obviously done something to affect the tyreâ€™s integrity. Which teams will be most affected by these changes? Thermal management of the tyre is the key this year and teams like Ferrari, Lotus and Force India have prioritised this in their 2013 designs. All three have good aerodynamics, but they have engineered in a way to keep the tyre in its ideal operating window by a combination of a stable aero map, a mechanical package which is in sympathy with the tyre and a good set-up. Red Bull has very good aerodynamic package, as it has for many years now, but inferior mechanical package and thermal management of the tyres. What challenges does a change of tyres seven races into the season present to the teams? The knock-on effects of a change of tyre construction are considerable and this is a major headache for teams, especially as they are about to commit more wind tunnel time and resources to their 2014 designs. It is unlikely that a change of construction can be made without this affecting the shape of the tyre and how the contact patch with the ground forms. When part of the tyre leaves the ground this changes the shape of the airflow to the floor of the car. The teams have spent many months modelling this in the wind tunnel and in CFD and if the shape changes even by a few millimetres, this will have an effect on the way the front wing interacts with the tyres, and with the flow down the side of the car and underneath the floor. It will impact the aerodynamic balance of the car and teams that have pushed to get on top of that will suffer. We are getting close to the time when the teams were hoping to move the 2013 model out of the wind tunnel and start devoting more time to the 2014 model. This change of tyres will complicate this for everyone. particularly for teams with limited resources, it will make for a real headache as they try to stay competitive in 2013 and not lose ground in 2014. Pirelli is to change the tyres it supplies to Formula 1 from the Canadian Grand Prix next month. The move comes after complaints that their fragile nature has made tyre-management too important. Pirelli hope the changes mean drivers do not have to stop more than three times in races. Red Bull have been vociferous in their complaints that the need to look after tyres is preventing them using the full potential of their car. Ferrari's Fernando Alonso made four stops on his way to victory in Sunday's Spanish Grand Prix, which featured 79 pit stops in total for the 22 drivers. Pirelli said the changes were "made in the interests of the sport" and not to favour some teams over others. Pirelli motorsport director Paul Hembery said: "We hope that (helping Red Bull) won't be the case, but we always face that risk. "People will say it is pressure from Red Bull but there has not been excessive pressure from them." On Sunday, Red Bull boss Dietrich Mateschitz was heavily critical of the current state of F1, saying it "had nothing to do with racing anymore". The Austrian met F1 boss Bernie Ecclestone, although he did not reveal what they had discussed. Ecclestone said in Spain: "The tyres are wrong, not what we intended when we asked Pirelli to produce something which did half a race." Hembery also denied that pressure from Ecclestone had informed the company's decision, saying: "He was only sharing the comments of the majority, that we had gone a step too far and we needed to come back a bit. "So I wouldn't say it was pressure from him, it was really from the fans from a sporting point of view. "From what we saw on Sunday, we felt, no, this was going in the wrong direction." Hembery told Autosport they never intended there to be four-stop races. "We want to go back to having two or three-stop races," he added. He said the problems had been caused by the performance increase of the leading cars, which are a second a lap faster than they were in 2012. "They have basically been stressing everything too much, and probably we underestimated the performance," Hembery said. Hembery said the changes to the construction of the tyres could affect the choice of the compounds Pirelli takes to Canada. Last month, the company announced the two softest tyres would be used on the non-abrasive semi-street circuit in Montreal. But Hembery said Pirelli would advise the teams this week of any revised plans. Pitlane F1 2013Formula 1 drivers are no longer being fined for pitlane speeding offences, AUTOSPORT can reveal, after the FIA agreed to a change of procedure. The Grand Prix Drivers' Association (GPDA) had raised concerns earlier this year that drivers were still being punished for breaking the pitlane speed limit - which appeared to be in breach of an agreement made with the FIA. As part of accepting a major hike in the cost of an F1 superlicence for 2013, F1 drivers were told they would not be fined for offences in the future. However, the situation proved complicated with F1's Sporting Regulations making it mandatory that drivers be fined $200 [USD] for every kilometre per hour they are over the speed limit. The FIA agreed to look in to the matter, and a compromise deal has been reached whereby teams are now fined instead of the drivers for pitlane offences. Furthermore, the scale of the fines has been adjusted. For every kilometre per hour over the limit, teams will be given a $100 fine instead - with a maximum limit of $1000 imposed. The new structure has been in place since the Bahrain Grand Prix and it explains why Lotus was fined $1000 for Kimi Raikkonen doing 93.2 km/h in the pitlane during second practice in Spain - whereas Valtteri Bottas earned the biggest driver fine of the season so far with a $2800 penalty for doing 73.8km/h in practice one in Australia. Fernando Alonso dominated the Spanish Grand Prix and now, five races into the championship, Ferrari have had three extremely strong results and two more lost through unreliability or errors. As a whole package, balancing qualifying and race, the Ferrari is obviously a pretty good car. The form of Alonso's team-mate Felipe Massa, who was third on Sunday, backs that up. Three stops - which Lotus used with Kimi Raikkonen and Red Bull tried to make work with Sebastian Vettel before being forced to back out of it - was the faster strategy in Spain on paper. But four stops, which Ferrari chose with Alonso and Massa, was only seven seconds slower. That is nothing and it gives the driver the chance to push the tyres harder. If you find you can stretch the stint length, you can convert to a three-stop. As soon as Alonso made his second stop on lap 21, everyone in the pit lane knew he was doing a four-stop and no-one reacted. For Alonso, knowing he was committed to a four-stop strategy, it was doubly important to make places early on. He knew he had to nail his lap times to make the plan work and the more cars he had in front of him, the harder that was going to be. He and Vettel are always very strong on the first lap - they know they have to make up ground to make the race work for them, to use the pace of their car. Alonso could not afford to get stuck behind a car that was slower or - even worse - was doing three stops. He made a great move around the outside of Raikkonen and Lewis Hamilton's Mercedes at Turn Three on lap one and the race unfolded perfectly for him from there. The Ferrari does not quite have the qualifying pace of some, but there is always a compromise to be had between that and race pace and Alonso understands the points are handed out on Sundays. THREE-WAY TITLE RACE - CAN LOTUS KEEP UP? It's still early days in the championship - we are now a quarter of the way through the season - but it's looks already as if it is between Alonso, Raikkonen and Vettel. The next couple of races may change that but it looks already as if they are the men on the move. The big question is whether Lotus have the resources to keep up. It's not always about big budgets; it's about spending the money you do have wisely. Lotus are shrewd enough to do that but the big question is whether anyone has their finger on the pulse as effectively as their former technical director James Allison, who is leaving the team. Short term it will be OK in terms of performance but in the short term you are also setting your future development plans. Mercedes had a very disappointing race, despite putting a huge amount of work into trying to solve their problems with excessive use of rear tyres. Nico Rosberg was able to lead until his first pit stop, without being threatened seriously, but Mercedes threw away their chances by trying to do a three-stop strategy. They managed it, with Rosberg driving like a granny to try to look after his tyres, but when you know your car is harder on tyres than everyone else it is counter-intuitive to try to do fewer stops. Hamilton did do four stops and was dreadfully slow because his car was eating up the tyres. But in the long runs in Friday practice, Rosberg's degradation and pace was stronger than Hamilton's by a considerable margin. But even Hamilton started off trying to do a three-stop and when you have a car that bad on its tyres I do not understand that. The problem with driving to suit three stops is you are throwing away the lap time too early in the race and you cannot go the other way. But if you aim for a four-stop you can always go the other way if the tyre usage is better than you expect. It is a different situation for Raikkonen and Lotus. That car does not quite have the out-and-out pace and they know they have an advantage in the way it looks after its tyres, so they are trying to use that to eliminate the extra pit stop time. And I do not think Raikkonen had the pace to challenge Alonso had he done a four-stop - especially after dropping behind him on the first lap. The large number of pit stops in the Spanish Grand Prix has reignited the debate about whether the fragile Pirelli tyres are good or bad for F1. The tyres are part of the car and some teams are using them better than others. Barcelona is always very tough on the tyres - and back in the tyre-war days sometimes you would get two or maybe three laps out of the softer tyres and then be five or six seconds a lap slower for the next four or five laps before they cleaned up and you could push again. Tyre management has always been part of F1, no matter what anyone will tell you, and there has never been a time when a driver could push flat-out for the entire race distance. Having said that, personally I think four stops is too many. Pirelli want to have two or three stops and that would be about right. Any more and it gets confusing for people who are not following the race that closely - which, in reality, is most of the audience. The last thing we want is a choice between one or two stops. That would be horrendous at some tracks - boring, processional races. Of more serious concern is that there were more tyre failures in Spain - on Paul di Resta's Force India in practice and then Jean-Eric Vergne's Toro Rosso in the race - to follow the three in Bahrain. And Alonso had a puncture prior to his final pit stop which Ferrari caught before it caused a problem. Pirelli has admitted it is concerned about the situation. They are blaming cuts in the tyre but I do not buy into that. There is no reason if that was the case for the rubber to sheer off in the way it is. At each grand prix, 616 sets of dry-weather tyres are used. To date there have been four tread delamination failures from the 3,080 sets of tyres used in the first five races. That is not often enough for it to be an inherent design problem. I believe it is more to do with quality control. Pirelli tyres have always had some internal blistering, where the inner rubber of the tyre overheats. This year, the carcass of the tyre has been reinforced to keep more of the tyre in contact with the track, with the idea of reducing the wear on the inside shoulder that was being seen last year. But that means the tyre has a very different working environment at high speed. At high speed, the rubber tread is subject to very high centrifugal forces. With the reinforced carcass, the tread-to-carcass bonding is put under increased stress. With the elevated temperatures some cars suffer from, it goes too far and the rubber can peal off the carcass. The fastest cars are a second a lap quicker than they were last year - a performance increase of just over 1%. A lot of sheer-load is going into the tyre. There is so much cornering force - more than 5G - and braking force - 6G - and I think in some cases that, combined with the centrifugal forces, is proving too much for the tyres to cope with. DID THE UPGRADES CHANGE ANYTHING? The Spanish Grand Prix is traditionally a race many teams enter with high hopes of making progress thanks to new parts designed to improve their car's performance. For struggling teams, this takes on extra meaning and as ever in Barcelona there were differing results. Toro Rosso had a new floor, sidepod and exhaust design which seemed to be a significant step forward - they were on the verge of the top 10 all weekend and Daniel Ricciardo and Jean-Eric Vergne qualified 11th and 12th just 0.039secs apart and Ricciardo finished 10th. Williams' package has apparently not done anything - Pastor Maldonado and Valtteri Bottas did not even make it out of first qualifying. At McLaren, Sergio Perez produced their best qualifying performance of the year with ninth place, but that seemed to surprise even him and the team, and their race form and the team's general demeanour suggested the developments had not worked. If a car has problems, sometimes you do not know what to develop first. I think that is McLaren's situation. In my opinion, they should be looking at the front wing. Up and down the grid, the trend is for more and more elements at the outside edge of the front wing. But McLaren have gone the other way this year. While Ferrari and Red Bull each have seven separate downforce-producing flaps on the wing, McLaren have only three. For most of last year - for much of which they had the fastest car - they had four, and for the last two races - which they won after introducing a new front wing - they had five. Fewer elements means more total downforce, but it also means the wing is more critical and more prone to lose more performance when it 'stalls'. So the driver will have more inconsistent grip levels and lose confidence. When you have a car problem, that is the last thing you want. McLaren need to stabilise the aerodynamic platform of the car, even if it is at the expense of a bit of total downforce, and work out what is going wrong. Honda Motor Co. has decided to return to Formula One racing in 2015 as an engine supplier to the automaker's former partner McLaren of Britain, people familiar with the plan said Wednesday. Honda President Takanobu Ito will officially announce the move as early as this week, they said. The company plans to supply new engines with small displacement.